If you are a follower of elladeewords you’ll have read about the demise of my beloved blogging tool, my smart phone. If you haven’t read the post I ask you to consider it’s “far better to learn the lesson than to be the lesson”… and step away from your phone if you’ve had a tough day. Both the G.O. and my phone contracts are up next month, and we have a spare unsmart phone I’m using for calls & text while I undertake a due diligence process before making a 2 year commitment to new phones. But, the unsmart phone doesn’t take photos of any quality. Our digital camera is somewhat cumbersome to wander around with, so elladeeimages is in hiatus. In the meantime, of the backed up and fortuitously downloaded photos I do have, I chose an image from the archives of each month of 2012 that didn’t get posted, and put together art in the everyday: 2012 retrospective of elladeeimages. This entry was posted in Blog and tagged Australia, fun, my life, Sydney. 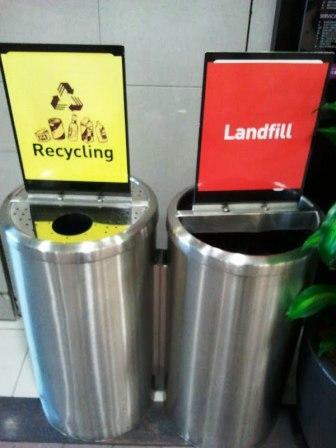 I might need to get out more… My usual weekday lunch is tuna & brown rice salad at my desk, but I was on secondment yesterday, not lunching at my desk, wandered in to the MLC Food Court (Sydney CBD) to pick up my favourite lunchtime sushi… and these bins were everywhere. May as well say what you mean, I agree. This entry was posted in Blog and tagged Australia, environment, fun, my life. The Men’s Shed posts are photos taken by the Gorgeous One. This is a photo of his current shed tucked up under our old house. One of the G.O.’s aims is to supplement it with a bigger stand-alone shed & carport in the backyard. 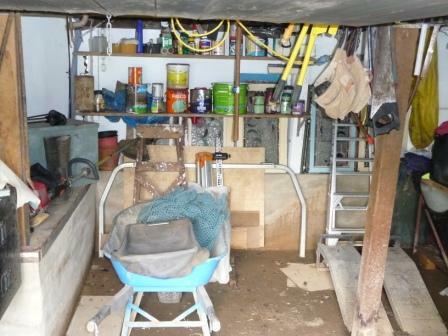 His workshop-shed is an eclectic mix of old, new, useful, just-in-case and just-because. A bit like the Men’s Shed posts. This entry was posted in Blog and tagged Australia, fun, men's shed, my life. 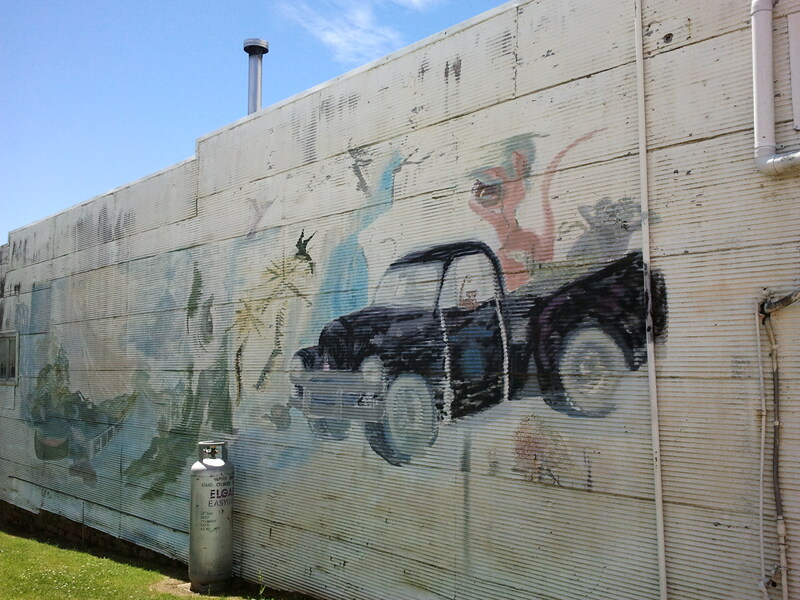 This entry was posted in Blog and tagged Australia, fun, men's shed.